My recent piece for the Huffington Post, No More Booty Songs, Please, has made waves. So many of you have voiced your support of my message, that these days, it's "much more noticeable to be a class act than a trash act". Of course there is an opposing side to every argument, but I do know that thousands, if not millions of men and women are fed up with the increasingly lowered bar in our artistic culture. Popular music in particular has taken a backlash recently. Sure there are millions of people who have viewed Nicki Minaj and Jennifer Lopez's new videos, but the underground movement of people who are fed-up with their shock-tactic vulgarity are making their voice heard. Here's the thing: I'm not opposed to hip-hop music or dance. In fact, I think that hip-hop is a form of modern poetry. And hip-hop dancing is a technically challenging art that actually requires talent. What doesn't require talent is simply shaking your behind in front of a camera for 5 minutes while wearing practically nothing. In my Huffington Post article I ask the question: what on earth has happened to pop music? Please watch this week's video to see a further discussion on this subject. All is not lost, however. There are so many wonderful artists out there- artists with integrity who produce quality work. Earlier this month on the plane ride from LA to New York, I watched a film called, Moms' Night Out, that had me shaking in my seat with laughter from nearly start to finish (which is quite embarrassing when you're on a plane). So how on earth does a hilarious film like Moms' Night Out get such dire reviews, yet a film like Neighbors (remember the film I walked out on?) garner stellar reviews (It was called the comedy of the year!)? Hear my theory in this week's video. Listen to classical music while you make breakfast this week. It will start off your day in a deliciously elegant way. You'll find yourself wanting to listen to it more and more. A lot of people resist the idea that you can have ten items in your wardrobe. I am currently reading Laura Ingalls Wilder's Little House series (Yes, I AM a grown-up. Actually, it is not "written down" as books for young people today usually are, and it is quite informative about how people really lived in pioneer days. If you are interested in such a subject, I totally recommend them.) People in those days may have had a total of three dresses: one for working at home, one for day wear, and one for special. When one of them wore out, it was replaced. No, not by going to a store, but by sewing it yourself. Puts things in perspective, no? This series has given me an appreciation of all the modern conveniences that we have come to take for granted. It also has stirred in me a profound admiration for the spirit that once infused people like the pioneers -- a complete self-sufficiency that we have left by the wayside. Coldplay's latest album, Ghost Stories, is incredible. I can't stop listening to it. Haunting, electrifying and meaningful... if you're a Coldplay fan like me, you must check out this beautiful album (I love every song!). What are your thoughts on the state of popular culture? Do you have any predictions of where it's all going? What say do we have in raising the standards in our society? Have you seen Moms' Night Out? Do you have any quality music to recommend? I have heard amazing things about this next book featured on our series of giveaways. It is a deeply moving story about families and the power of human redemption. We Are Called To Rise by Laura McBride has garnered excellent reviews and critical acclaim. Simon & Schuster are kindly offering to give away 3 copies of We Are Called To Rise. Please enter the giveaway via the rafflecopter widget below. The giveaway is open to U.S. residents only (terms set by the publisher). The winners will be announced on the widget and contacted by email one week from today. Best of luck! Check out the piece I wrote for Huffington Post called, NO MORE BOOTY SONGS, PLEASE. It has a funny title but a serious message about what is happening to our popular culture. If you agree with this article, please share it with your friends. Every little bit of support helps ‪the #‎VulgarityNoMore‬ cause. More dates will be added to this list. Please stay current with all events on my author website events page. 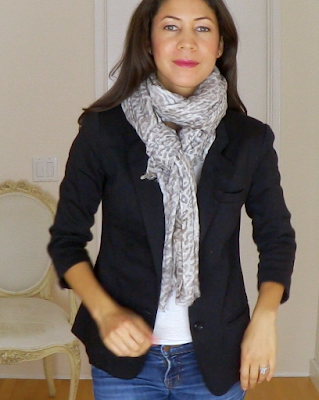 Thank you for your incredible response to last week's ten-item wardrobe video for fall/ winter 2014! The video has already received thousands of views and hundreds of comments have been coming in. 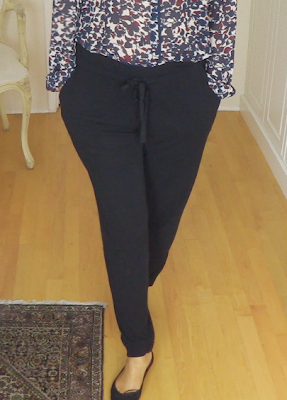 This week's video talks you through the wardrobe and will hopefully answer many of your questions. What happened to certain pieces from last year's fall wardrobe? Why didn't I see them in your wardrobe this year? If an item from last year's wardrobe did not make it into this year's wardrobe, it was most likely worn to death and donated. Even if I love something, if it is looking shabby or has shrunk or is misshapen with wear, I will donate it. Remember the ten core items are the items that you wear everyday. When you wear the same ten garments over a period of months they are likely going to get worn down. If an item is well-made it will last longer than one season. This is why I strive to buy high-quality clothes. Why are so many of your clothes from LOFT this year? - If I were a "civilian" (i.e. not a blogger), I would take time curating my wardrobe with different brands, but because I do these videos for you and need to get my shopping done quickly, sometimes one-stop shopping is the most convenient thing for me. 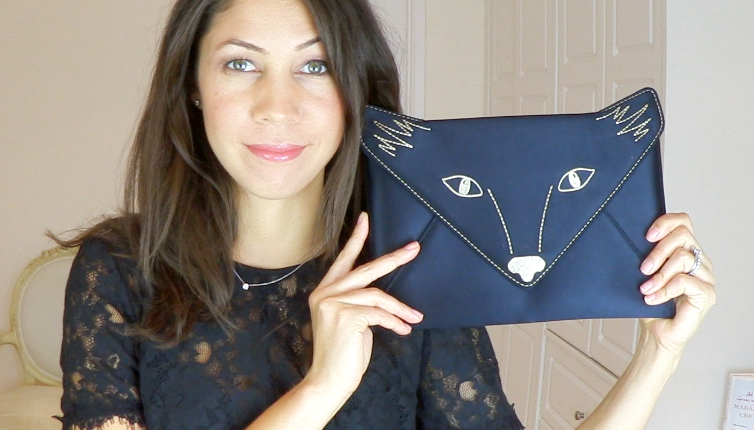 If I see something I like in a brand, I am loyal to them for the season. What do you wear to the playground with your kids? For the answer to this question, please see the "tee shirt and jeans" portion of the video. What do you wear when you're at home?? I wear my core items when I am at home. 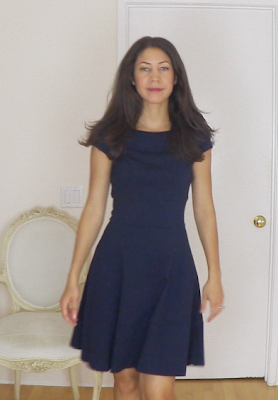 Yes, I'll be cooking dinner in the navy and red spot dress or I'll be cleaning up at the end of the day in the green jacquard dress. As I'm writing this I'm wearing the black fluid ankle pants and the green tee-shirt. One of the main points of the ten-item wardrobe is to force us to wear our best on a daily basis. These clothes are not just for wearing out in public so that we can change into our pajamas as soon as we get home. If you pick your clothes wisely, they will be comfortable and stylish and you wont' feel the need to change as soon as you walk through the door. 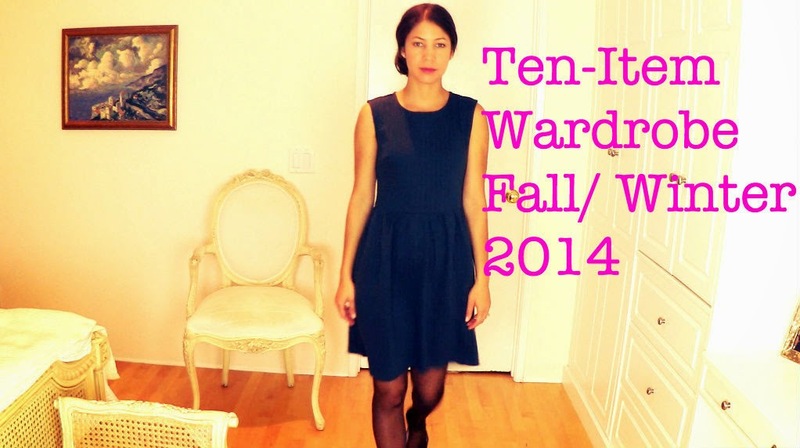 Check out the original Ten-Item Wardrobe Fall/ Winter 2014 post here for links to all of the clothes. Another stellar review for At Home With Madame Chic is in on the Hostess of the Humble Bungalow blog. If you aren't familiar with the Hostess' blog, it is a fabulous resource for living well at home. Do check her out and leave a comment! UPDATE My book signing at Diesel Bookstore in Brentwood, CA has been moved from October 23rd to October 28th 7pm. Hope to see you there! Resist changing into sweat pants or pajamas when you get home. Remain in your day clothes until it's time to go to bed. Doing this subtly elevates your life at home and gradually makes you feel comfortable with wearing your best on a daily basis. The comment of the week comes from Beth on Facebook, who writes: As a flight attendant for 20 years I can attest that dressing well while traveling does command first class attention...even in coach! I am very pleased to announce that as part of special Thursday posts for the next few months, I will be hosting book giveaways on The Daily Connoisseur. Having a good book to read just makes life so much more delicious. I'm an avid reader and try to read for at least one hour a day. Even though the opportunity to win most of the giveaways are for U.S. residents only, I know that these posts will still offer you great book recommendations perfectly tailored to The Daily Connoisseur audience. So whether you win or not, I hope you enjoy! Please enter the giveaway via the rafflecopter widget below. The giveaway is open to U.S. residents only. The winner will be announced on the widget and contacted by email one week from today. Best of luck! Today I would love to know... What do you love about Audrey Hepburn? What is your favorite Audrey Hepburn movie? What do you think young women of today could learn from Audrey Hepburn? 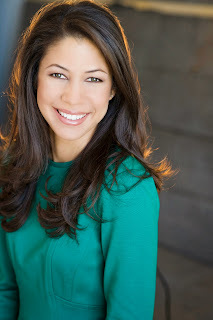 Check out my podcast interview with Nicole Longstreath on The Wardrobe Code. We talk all things style, including fashion neurosis, why it's important to look your best, and what I think of those Real Housewives. Nicole's conversational podcast is excellent and perfect for inspiring your wardrobe. Thank you Nicole! 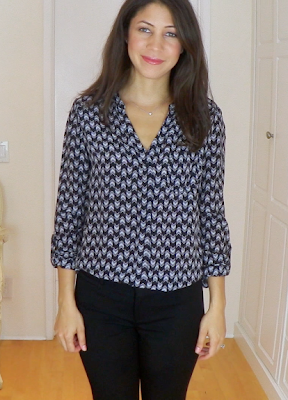 See you Sunday for a Ten-Item Wardrobe Talk-Through! This week I share my fall/ winter ten-item wardrobe with you. I hope you enjoy the video, which is shot runway-style, and set to Schubert's String Trio (op. 100). 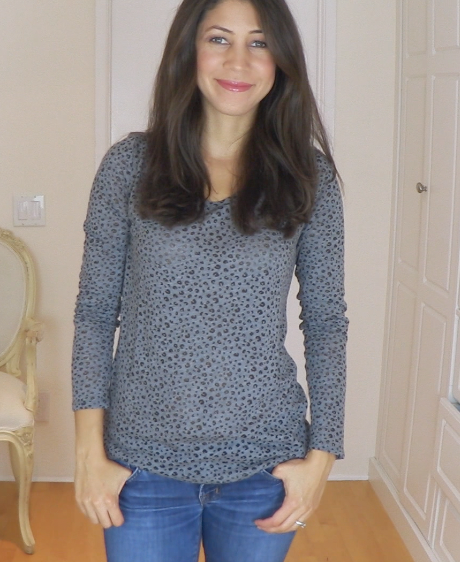 Next week look for the ten-item wardrobe talk-through where I discuss each wardrobe choice and how I go through my process. If you are unable to see the video above click here, look in the sidebar of this blog, or visit my channel: www.youtube.com/TheDailyConnoisseur. * Please note: while many of the ten core items are new purchases, the majority of the clothes featured in this video are more than one year old. I have provided links where applicable. Sometimes I provide links for the brand if the garment itself is unavailable. *Please note: Not all of my sweaters are shown here. 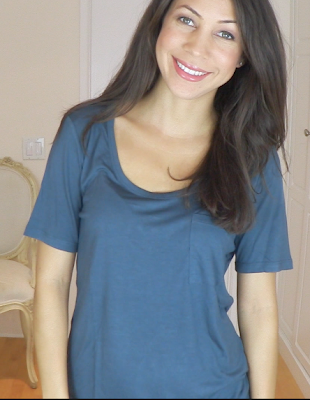 I have a navy v neck and black cashmere sweater as well in my extras. 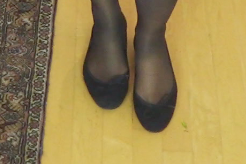 *Please note: In this video I do not show you all of my shoes. Just the ones that go well with the outfits in this video. I also have two pairs of boots and a few extra pairs of heels. 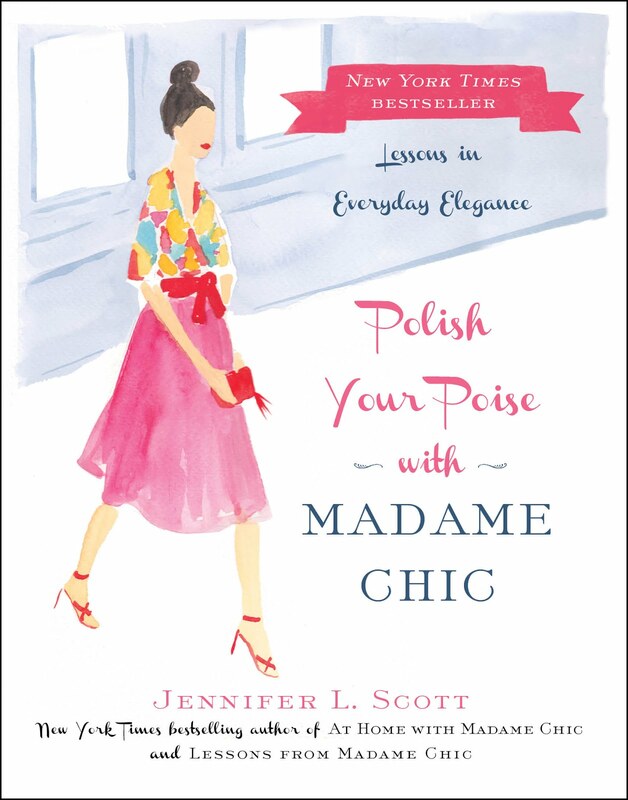 The first review for At Home With Madame Chic is in on The Glamorous Housewife blog! Read Bethany's great review here (and while you're at it, check out her inspirational blog. I love Bethany!). 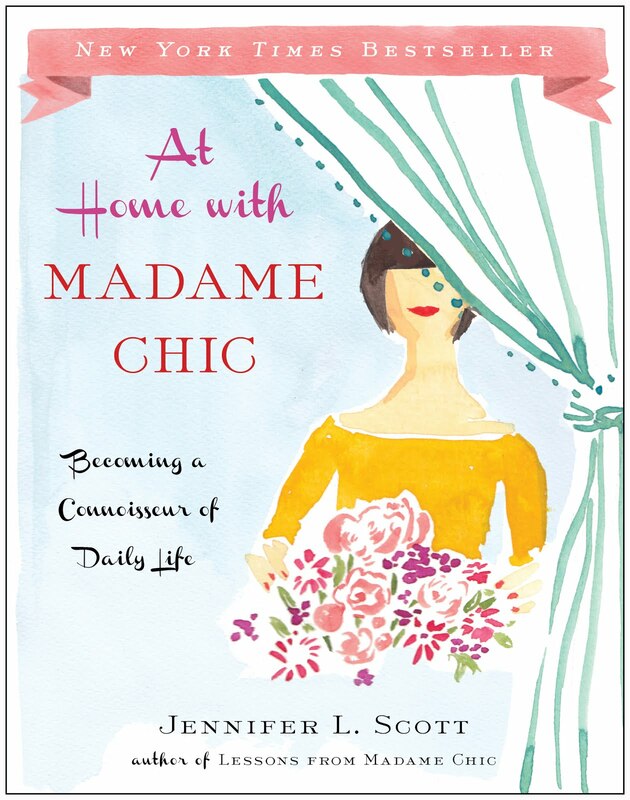 At Home with Madame Chic comes out on October 7th! Read all about it on my author website and preorder your copy today. 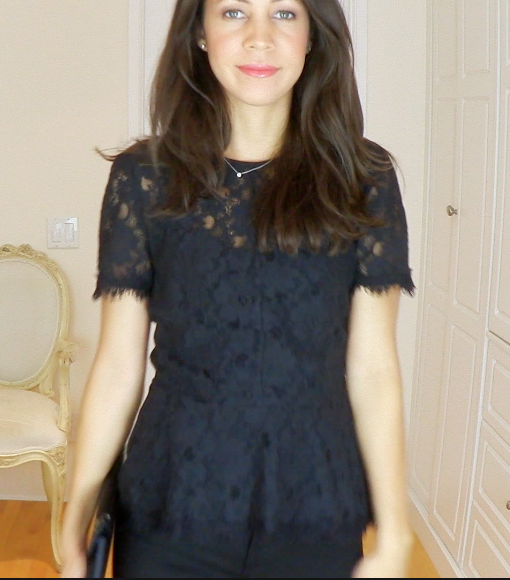 See you next week for a ten-item wardrobe talk-through! FTC: All items featured were purchased by me. I have no affiliation with any brand featured except for London Sole, which is our family business. I had such an amazing time in New York. I just got back this evening. Reflecting on the last few days I feel a combination of many things: humbled, excited, motivated and inspired. 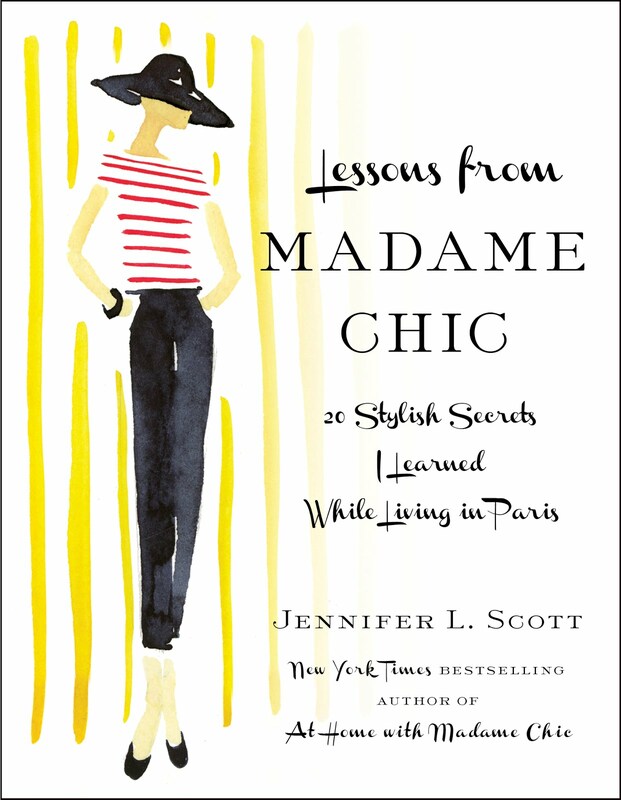 This past week I got to meet the team of people at both Trident Media Group and Simon & Schuster who work so hard to bring the Madame Chic books to fruition. These dedicated people are the ultimate professionals and also so chic! Seeing my agent, Erica Silverman, again and meeting my editor, Trish Todd, for the first time was an extra special treat. The team at Trident Media Group (from left to right): Tara, Erica, moi, Lauren & Meredith holding some of the foreign editions of Lessons from Madame Chic. Part of the amazing team at Simon & Schuster (not everyone is pictured). They threw me a tea party! The TEDx talk on Saturday was the perfect finale to my New York trip. I relished the opportunity to meet so many interesting people and hear their ideas and inspired talks. As soon as I have a video of my talk I will be sure to post it and share it with you. Thank you for your supportive comments on social media. I felt as though you were right there with me on stage! For my talk I wore this vintage inspired polka dot dress from Tory Burch (both dresses featured in the video are sneak peeks into my Fall/ Winter ten-item wardrobe). I had my hair done for the day in an art- deco inspired chignon. Who knows... you might be picked as the comment of the week! Hi Jennifer. I am a faithful reader of your blog and loved your book. I've attended estate sales for several years, many which are held when the elderly homeowners pass away. Looking through the clothing, it's remarkable how many women hold onto items for decades. Closets are packed full with clothes, shoes and accessories. This seems perpetuated today even more with the marketing of large walk-in closets which women are sold on the fantasy of filling with an abundance of clothing (never mind where these clothes are made. No union label, Made in the USA tags on today's clothes like the ones at estate sale clothing from decades ago). Thank you for encouraging women to give their unwanted clothes a new life and for promoting living with less. Donation is so important. I love clothing swaps and charity shops to pass items on.